Few days back i got to watch STOMP for the first time at marina bay sands theatre, thanks to gushcloud! I've always been interested in musicals, theatre performances, symphony concerts etc. 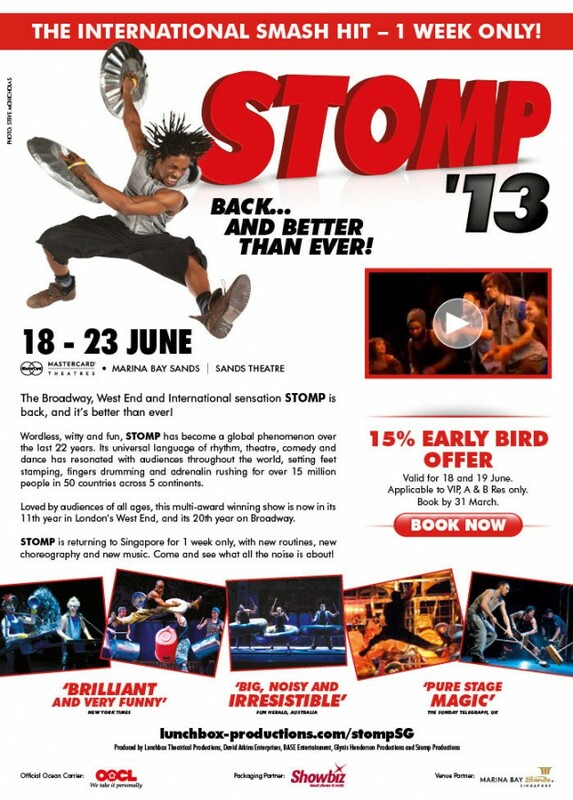 I feel STOMP is interesting in a way that it combines music, acting, plot and comedy. It also engages the audience as we get to participate as a whole and contribute to its music/rhythm. SOMP will only be in town for a week and this coming sunday will be their last show here, you still have 2 more days to watch them so get your tickets asap! Once again thank you Gushcloud!